Moog has really added a ton of durability to their front lower ball joint. GM Vehicle Shimmying a lot Lately? You just felt it again.  The shimmying that's been driving you crazy for weeks. You thought it was something that would just go away in time. However, it has now been several weeks, if not longer, and it's still shimmying. You know it's not good for your Chevy, Oldsmobile, or Pontiac so you took it to a mechanic and they used some really big words: radial deflection. You don't know what they mean, it's not something you use every day. 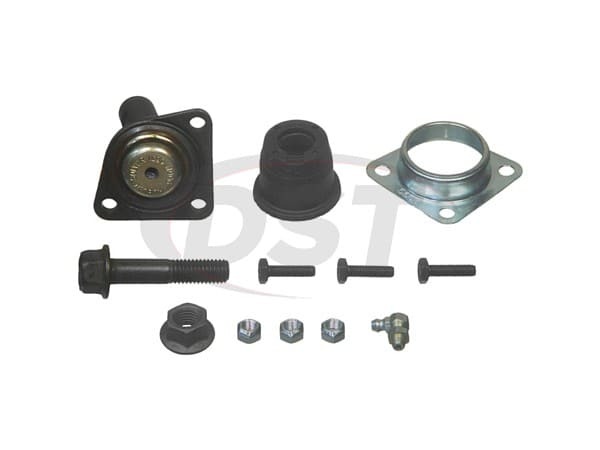 Don't worry because you've found a DST parts expert that does. 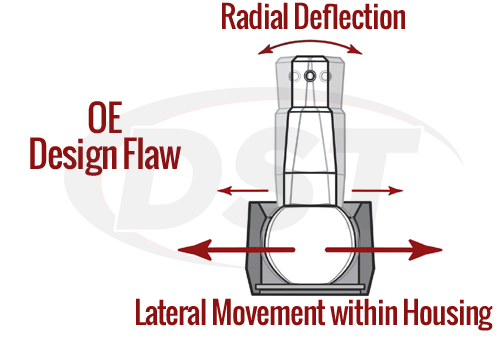 In laymen's terms, radial deflection is just the side to side movement of your ball joint inside of its housing. Excessive amounts of this side to side movement is what's causing the shimmying, as well the uneven tire wear or looseness in your steering wheel you might have experienced as well. As a DST parts expert I know you're worried about your car and want to fix it as quickly as possible, so you can get it back in working condition. 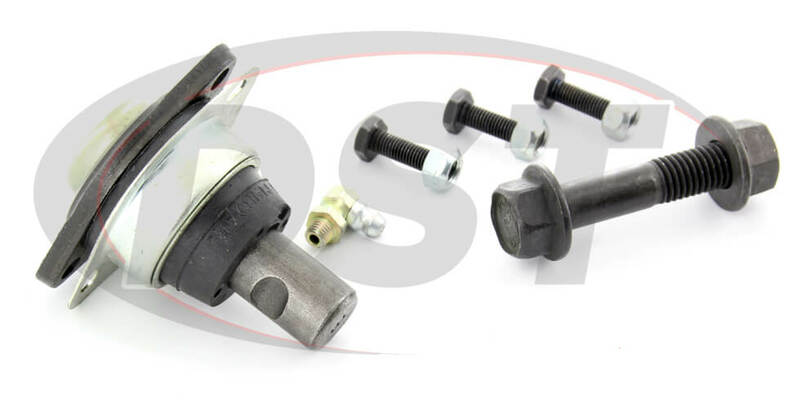 Moog has crafted a ball joint that solves all of these problems, and more; K6429 is just what you're looking for. When a ball joint starts to experience excessive lateral deflection it will wear prematurely and can fail a lot sooner than it should. This will cause, not only the steering problems you're experiencing but other problems that can include your ball joint breaking. If your ball joint breaks you'll have to spend even more time and money on repairs. Moog has seen the issues that your GM vehicle experiences and have come up with a solution. That solution is K6429, Moog's front lower ball joint. 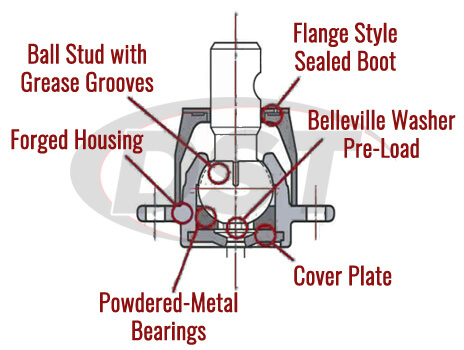 This ball joint features a patented cover plate design that eliminates the excessive radial deflection that has been causing your problems. Moog has also included a Belleville washer pre-load that lowers torque and stud articulation with minimal axial clearance. An equipped flange-style sealed boot with a special grease relief valve keeps out harmful road contaminants that can accelerate corrosion. 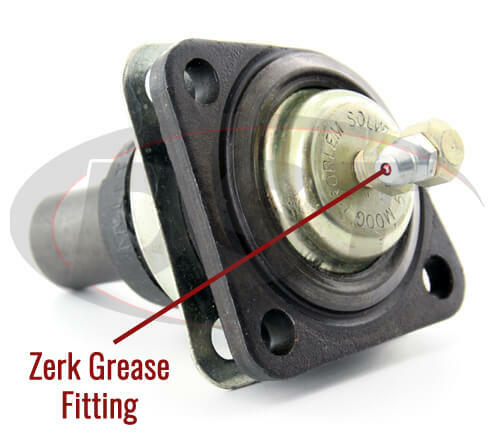 K6429 also has a hardened powdered-metal bearing that provides a smooth and durable surface that extends the service life of this ball joint. More Durability than the OE Design AND a Lifetime Warranty?? Moog has really added a ton of durability to their front lower ball joint K6429. If all the added durability of this ball joint doesn't give you the confidence of a long-lasting part then Moog's lifetime warranty definitely will. So you can buy this part knowing that, should you ever have to replace it, you won't have to pay for it again. To make things even easier our customer service team here at DST will handle your warranty so you won't have to.